… If you don’t like how decisions get made, then it’s time to consider whether the role of leader is based on the vital expertise the company needs to lead it to the next level, not on shareholder percentages. 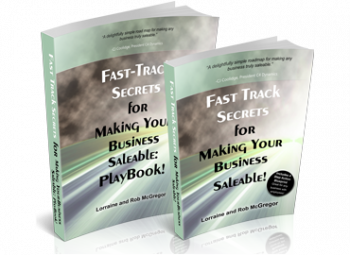 Keep reading to know if you’ve got the pain, and most importantly, watch this surprising video that shows you where the hidden risks are in your business partnership, so you can evaluate whether to stay or move on... then you can re-commit with the right rocket fuel in place… or divorce without blowing up your business investment. Sign #2 – Who’s The Boss? When you signed your shareholder agreement, did one of you become the 51% owner and the other the 49% owner? That split is essential if you dissolve your partnership or get to the 9th inning of a long dispute. But just because you own 2% more, does that mean you become the boss and the other guy must follow along, biting her tongue? We’ve met many partners that just fall into this arrangement. It’s a sure path to building walls of resentment. One of the hidden risks is how partners deal with their 51%/49% battle, watch this video to find out the rest of the risks, and discover how to stop the argument. Leadership shouldn’t be awarded based on shareholdings. Leaders should be ‘hired’ in a way that works to the company’s advantage. Notice I said, ‘company’s advantage’ not ‘your personal advantage’. What the company needs from it’s shareholders is sound decision making. So even if you made agreements about who should lead and how decisions get made, they might need to be revisited. As companies grow, burdens get bigger. If you feel out of control, want more control or feel you are being controlled and are sick and tired of arguing over who has final say and who just has to swallow hard and walk this way, then keep reading. What your company needs from it’s leaders is the ability to deliver on the promise made to prospects, customers or clients… in a way that keeps bringing them back for more. That’s the ticket to steady, predictable and growing profitability. How come battles ensue over who should lead? Companies can become proving grounds for entrepreneurs to show they’ve got it. You have clashing ideas over what leadership should look like. You mix up what type of leadership is needed in each area of responsibility. Battling over who should be the president is also seen as a way to get and maintain control… as if that was all you needed so that both partners get a return on their investment in the business. Did you know that this kind of fight for control is actually a fast way to lose control? In either case, battling for the lead and proving you can lead are irrelevant to what the company really needs from you. The chair of the board needs lead shareholders in defining a vision and then hold company executives accountable. The CEO or President has to find the best strategic way to achieve the vision and goals. This role is the face of the company to the market place, tapping into what the market is looking for and orienting the company to achieve it. A project and functional leader manages resources and people in a way that aligns so the strategic plan can be realized. These leaders need to lead in a way others can follow effectively. Members of project teams need to follow in a way that leaders can lead. These followers attend to the administrative and tactical activities. Too often we find partners working at administrative and tactical concerns, rather than these high level leadership functions… leaving the company essentially leaderless… even though one of the partners has the title. Having the title and knowing how to be a strategic leader others can follow, doest’t always go hand in hand. Hiring right gives you the greatest confidence in other parts of your company, why not at the top? Hiring the best person in each role translates into having meaningful control. If you or your partner is not the right person for the top job, it doesn’t mean anything about you and your skills. Not everyone is a strategic thinker able to see the way forward. If you take it personally, you lose, the company loses and you won’t be happy even if you get the top job. You would be better off in a role that is a perfect fit for what you love to do and have mastered. This is what the company really needs from you. 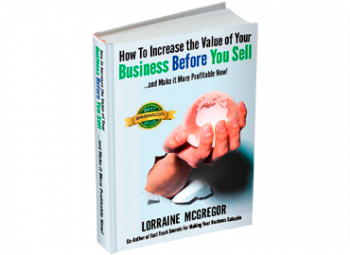 Being in the wrong role with a massive pile of expectations on your shoulders leading to something you’ve never done before could be a fast way to lose your investment in your business. If you were on the board of a company you had invested in, charged by it’s shareholders to meet strategic growth goals and lead the company to the next level, would you hire either you or your partner with confidence? Or someone you have yet to meet? My guess is you would want the person who had the best qualifications, experience, emotional intelligence and desire to grow the business to the next level, profitably. So what if you are the best person for the top job, yet your partner doesn’t support or like your decisions? Maybe he or she even actively works against your decisions behind the scenes? The Solution? Sounds like you need to go back to square one by talking about your vision for the company in a way that gets all interests on the table. You need a shareholder meeting. 1. Quarterly shareholder meetings are essential for staying on the right course and holding your selves accountable to the goals you want to achieve. At these meetings you want to discuss your vision for the company, strategic plans to get there and metrics that will help you determine how you are doing. You may want to look at Sign #1 so you make sure you both feel heard, prior to going to this meeting, especially if you don’t think your partner actually hears what you mean when you talk. The best vision is one that you both want to work toward, where you are solving a proven and needed problem the market wants. The shareholder meeting is the best way to leave the 51/49 argument behind. Pro Tip: at a shareholder meeting, you wear your shareholder hat which means you want to be thinking like an investor, not the guy who heads up product development or sales. 2. Strategic meetings are held after shareholder meetings. Who attends? The core executive charged with determining how they will achieve the goals set forward in the shareholder meeting. At these meetings you create a strategic plan, identify critical success factors and a clear desired end result. Now you can break down the work into steps. You then turn these steps into actions which become a set of projects. Then you assign responsibility to lead the project and staff the project. The shareholders will evaluate the progress you make based on the plans you develop and commit to. Pro Tip: at a strategic meeting you are wearing your executive management (President, VP, Director, GM) hat, not your shareholder hat. Your responsibility is to think strategically about how to reach goals in service to the company and it’s investors, not whether you’ve got 51% or 49% control. 3. Operations meetings are held weekly. Here you develop organizational processes to improve how work gets done, information flows from person to person and department to department. You look for what’s getting in the way of achieving goals and brainstorm solutions, rather than blame individuals. This is not just a ‘this is what I’m doing’ meeting. By attending to how you work together, people buy in earlier, decisions are easier to carry out because you are talking about what’s getting in the way and how to bridge these gaps, so you have far less falling through the cracks. Pro Tip: This is the meeting where you can wear your functional hat representing sales, or product development or finance etc. This is where plans become action and your role is to provide the details as to how you will fulfill your part of the plan. Want more tips on how to wrestle with the leadership issue so it stops getting in the way of your business partnership, productivity and performance? Want to learn more about how to stop the arguments? 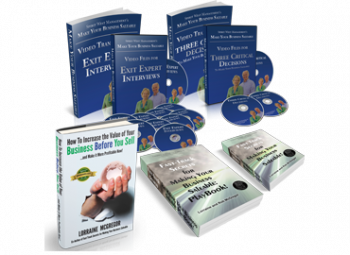 Watch this free video so you can get back to business. What other things get in the way of a successful business partnership? Leave your comments or your questions below and let’s get the conversation started.